Expectations of 17 million tourists coming to Greece this year seem to be gaining ground, according to recent data released to the Greek press by the Association of Greek Tourism Enterprises (SETE). During the January-May period, international arrivals to Greek airports increased by 6.05 percent to 2,441,276 visitors compared to the previous year. In 2012, Greece welcomed 2,302,107 tourists during the same months. 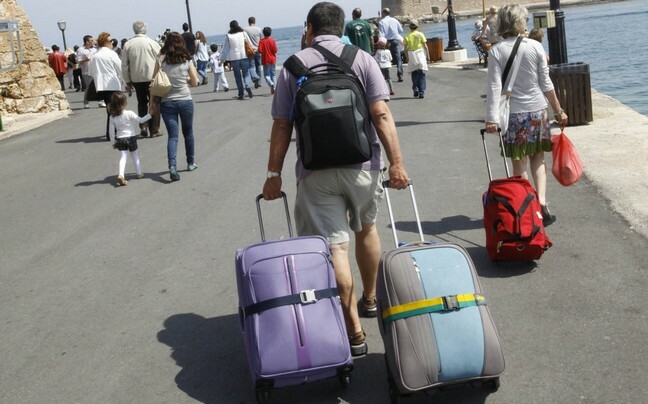 Greek tourism professionals have said expectations are high in regards to international arrivals for the months of July and August. The figures also revealed that Mykonos was the big winner in terms of arrivals as the popular island of the Cyclades saw an increase of 125.5 percent during the first five months of 2013. Greek islands that also saw an increase in arrivals include Zakynthos (33.2 percent), Kefallonia (29.5 percent), Crete (26.3 percent), Santorini (22.7 percent), Corfu (23,9 percent), Kos (20.2 percent) and Skiathos (18.3 percent).